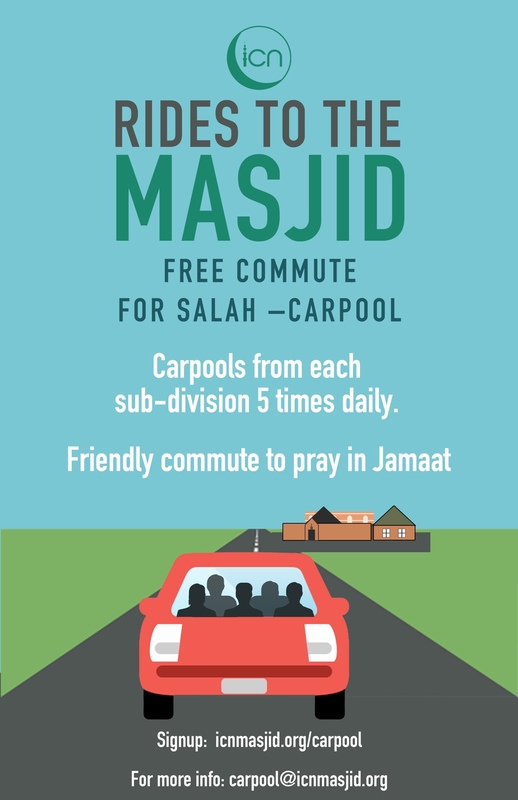 Share rides to masjid. Carpools from each sub-division 5 times daily. ICNYouth Council – Apply Now!